5 people you'd want to spend Christmas with: my husband and two boys, obviously. But let's assume they're there anyway. Ash Perrin, the clown guy who entertains child refugees in Syria. Everything about him from his moustache to his bicycle to his generosity of spirit is awesome. Nigel Slater because his food is comforting and fabulous and his voice is so gentle. All his food has full fat cream in it too, which is a requirement at Christmas. Jamie Dornan to smoulder in the corner. Ideally with a star or a fairy on his head and presents round his feet. He could say a few things if he wanted, because his accent is also very acceptable. Margaret Schlegel. I think we would be friends. If I work at it, she might leave me Howard's End after the turkey. Julie Andrews so we could sing along to the annual Christmas showing of The Sound of Music. I'd ask her to do her Gru's mother's voice, from the bit where she's showing Margo, Edith and Agnes the pictures of Gru as an 'ugly girl'. And perhaps a bit of Mary Poppins. Is that greedy? 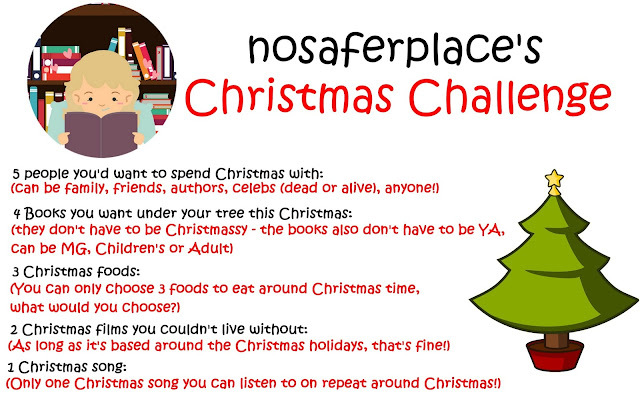 The Christmasaurus by Tom Fletcher. A book! A musical! A booksical! And the song Afraid of Heights, and the video... I can't actually speak for Christmas vibes. The Lost Words by Robert Macfarlane and Jackie Morris. I've loved Robert Macfarlane ever since The Wild Places, and the spell elements of the book prove what I've known all along: nature is magic. The Secret Life of Cows by Rosamund Young. I never knew cows were interesting enough for secrets. Fantastic Beasts and Where to Find Them by JK Rowling, illustrated by Olivia Lomenech Gill. I'm a sucker for a full-colour hardback. Bread sauce, clovey and creamy and pooling over the edges of the plate so I'm bathing in it. Yes. Medjul dates. You know the toffee tree in The Magician's Nephew? Medjul dates are exactly how that toffee-tree fruit would taste. 2 Christmas films you couldn't live without: WHAT DO YOU MEAN ONLY TWO THIS IS A TRAVESTY. The Muppets Christmas Carol. For all the songs, but most particularly for Scrooge's rat clerks in Hawaiian shirts. Elf, for the belch. That's what I watch it for. The belch. A belch to move mountains. Lux Aurumque by Eric Whitacre, sung by the Virtual Choir. I'll take it sung by anyone really. Intoxicating, powerful, magical. Mind well and truly blown. 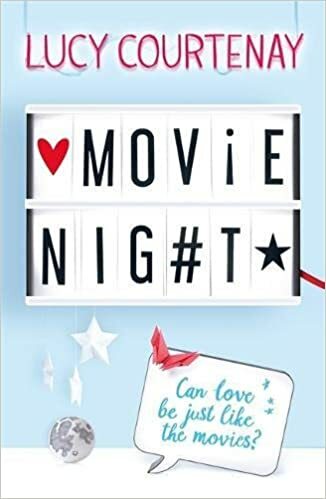 Lucy Courtenay's new book MOVIE NIGHT is released January 2018. Go and pick up a copy!